I wrote a long-ish poem for children, AWFUL ALVIN, a few years ago, with thoughts of using it as the text for a picture book. 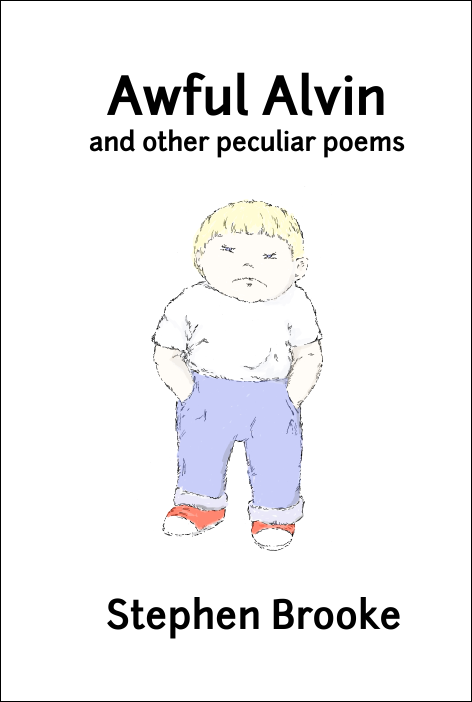 In fact, the poem was developed from a home-made picture book I drew up to amuse my nephews when they were little (a very long time ago). Although I created a folder full of sketches for the idea, I could never quite get the project to come together for me. And that is because the poem is not really suitable for a picture book for little ones. It is too sophisticated, too complex. That is true of much of the poetry I have written aimed at a younger audience. This does not mean that children would not enjoy the work, just that my presentation concept was wrong. 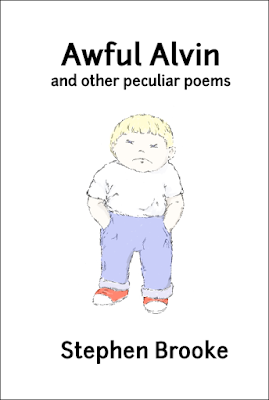 So, I am now working on an anthology to be named (probably) AWFUL ALVIN AND OTHER PECULIAR POEMS. It is not a picture book but it is pretty profusely illustrated, with pen and ink drawings. This means black and white illustrations, not color; if nothing else, I save a lot on the printing costs. The pictures will be relatively small, as well. No full page spreads as in a picture book. Speaking of which, I do have a couple pieces I still think suitable for presenting in that form somewhere down the line. Future projects! But I jumped right into this project after finishing COAST OF SPEARS and getting it into print. Oh, I dawdled a couple weeks, worked a little on some other ideas, but then I began to obsessively (manically?) create my illustrations. Twenty-eight drawings in five days. Right now, I am designing and assembling the book. Expect it out sooner rather than later. Perhaps August First would be a good official release date. As I mentioned, some of the poems are a bit sophisticated, complex both in language and structure (and sometimes in ideas). Kids need that, don't they? Everything can't be made simple. I just hope the adults who might be called upon to read them to their little ones are up to the task. Here's a mock-up of a possible cover. That is the one facet of a book project that remains open up to the very last moment, so don't be surprised to see changes. But do expect to see ALVIN offered by Arachis Press very soon!